The 1950s and 1960s at The Walt Disney Studios marked unprecedented stylistic directions brought on by the mid-century modern and graphic sensibilities of a new wave of artists. This volume explores the contributions of these heroes with special emphasis on the art of Lee Blair, Mary Blair, Tom Oreb, John Dunn, and Walt Peregoy. It includes never-before-seen images from Cinderella, Alice in Wonder¬land, Peter Pan, and Sleeping Beauty and discusses Disney's first forays into television, commercials, space, and science projects—even the development of theme parks. 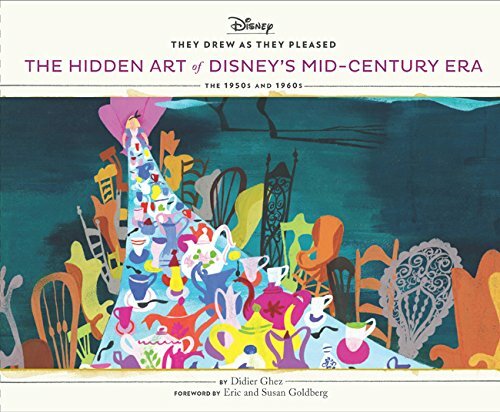 Drawing on interviews and revealing hundreds of rediscovered images that inspired Disney's films during one of its most prolific eras, this volume captures the rich stories of the art¬ists who brought the characters to life and helped shape the future of animation.